NHA was thrilled to have the opportunity to set up in the Homegrown Village at Farm Aid this year. We teamed up with our PA partners, Pennsylvania Hemp Industry Council, Limeworks and Hemp Heals Foundation. This year Farm Aid was held in Burgettstown, PA. It was a beautiful venue with all of the fall harvest decorations everywhere and the entire show was extremely well organized. It’s always a wonderful thing to have such an opportunity to educate not only the general public but farmers as well. While many of us are immersed in the hemp world, its easy to forget just how important education is. There are still so many misconceptions to overcome. But the good news is that once people are shown the tremendous potential of hemp – support is nearly universal. 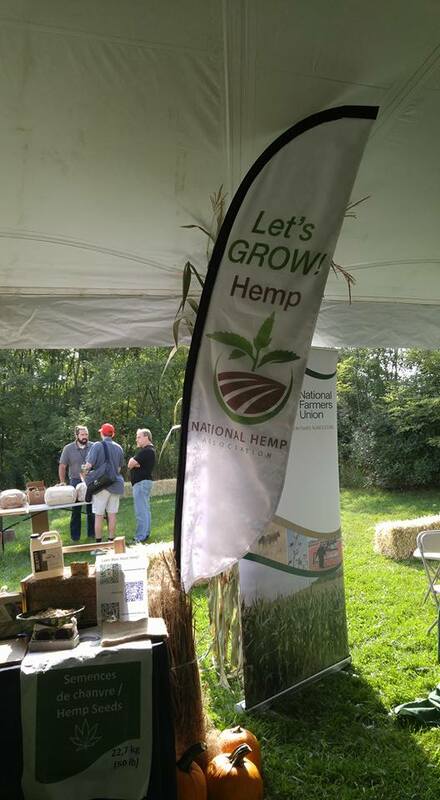 It was great to see hemp so well represented! In addition to our display Elishewa ShalOm from Artisan Hemp was in the Skills Tent and gave a hands on paper making workshop. The highlight of our display was our Hempcrete Wall deomonstration hosted by our friends at Limeworks. 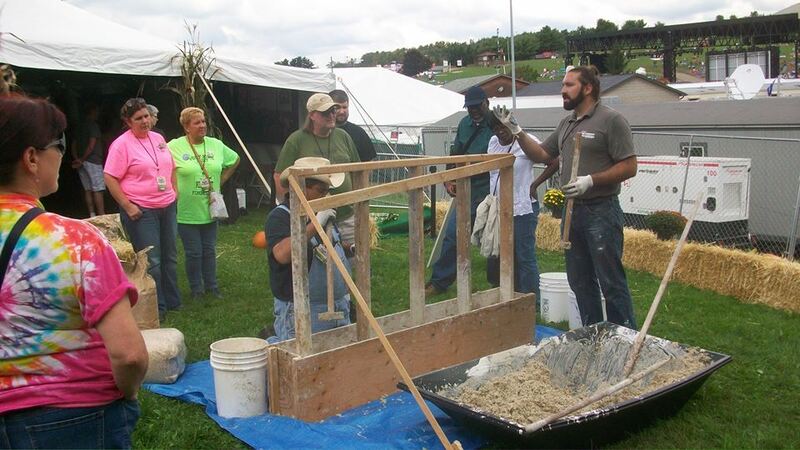 Concert goers had the opportunity to help mix the Hempcrete and build the wall. It was a big hit! 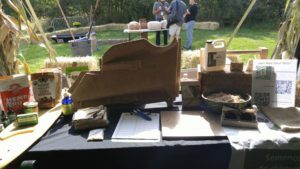 People were amazed to learn that hemp can be used in construction especially when they leaned about the insulation value and the fact that it is fire, mold, mildew and insect resistant. We look forward to the day when this is the go to building product. Doors opened at 11 and the Homegrown Village ran until 5 o’clock. Once the people began arriving we had a non-stop stream of interested visitors. Because we were so busy and the day flew by so fast, we didn’t get a chance to take as many photos or videos as we would have liked. Even if we had, it would have been very difficult to capture the excitement and over all good vibes of the day. And then there was the music…. The show started in the afternoon but the headliners didn’t start until after the Village had closed. We were thrilled to have the opportunity to join the tens of thousands of people there to enjoy the awe inspiring talent that took the stage to benefit farmers. For a taste of the amazing performances we experienced check out some of the videos and photos posted on the Farm Aid Website. 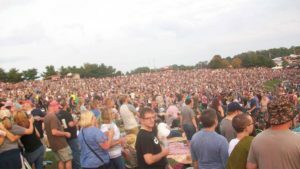 Should Farm Aid ever come to a town near you we highly recommend you go! Not only is it an experience you won’t soon forget, its for a great cause. A cause that closely aligns with our mission to see emerald fields of hemp being grown all across this great nation!